While plenty of management wisdom has focused on leadership and teamwork, relatively little attention has been paid specifically to emerging leaders--people who have recently been or are about to be promoted to supervisory or managerial positions. Emerging leaders are usually bright, talented, and rising stars in their organizations. The challenge is that most new leaders are promoted, because they were good at what they did in their previous role, without any training and development. As a result they are often out of their element, unprepared, and even scared. And with good reason, because like so many people who have greatness thrust upon them, their handling of the often-rocky transition to manage their former team members will affect not only their future, but that of their company's as well. 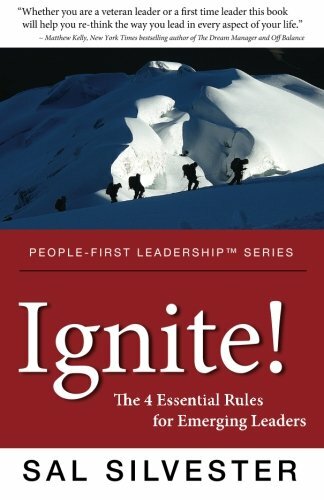 Now Sal Silvester's timely book, Ignite! competently fills this void. In this how-to business book, Sal, a veteran of corporate potential maximization, shows the path to igniting the potential of new leaders. He begins with a learning parable that illustrates the pitfalls and possibilities of leadership at every turn. In clear language that is easy to understand and translate into direct action, Sal provides emerging leaders with the tools they need for successful transition. But Ignite! is more than just a story. 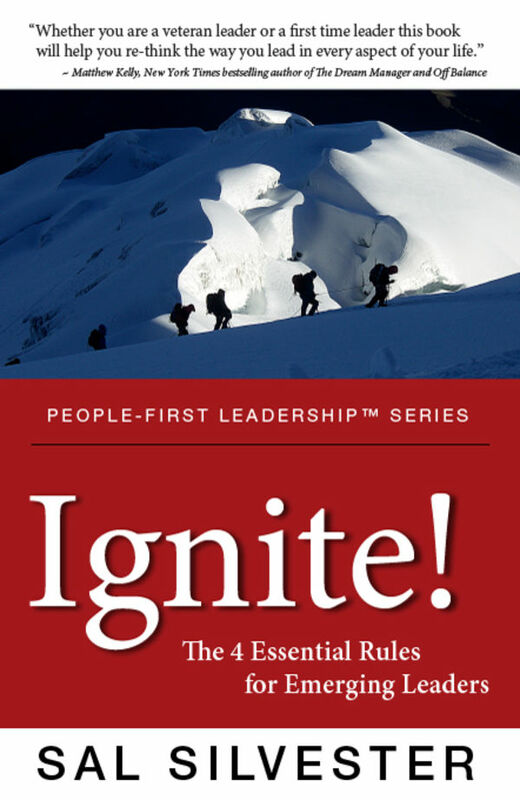 It incorporates for the first time Sal's People-First Leadership™ model that gives new leaders all the tools they need to elevate their effectiveness. Sal shows them how to make a perceptible impact on retention, engagement and productivity. By highlighting common errors that new managers make, Sal accelerates the transition to competent leadership and showcases the characteristics successful leaders must bring to the workplace. Ignite! is Sal's clever and actionable contribution towards smoothing the path to effective and seasoned leadership that enables leaders to ignite their potential and the potential of the people around them.